You’re likely familiar with (and maybe have already implemented) a few of these trends, such as video and mobile. Others, such as augmented and virtual reality, may be new to you. We’ve defined each trend below, plus shared strategies on how you can leverage them to improve your eLearning services. Microlearning presents information in small, digestible chunks, as opposed to in bulk. 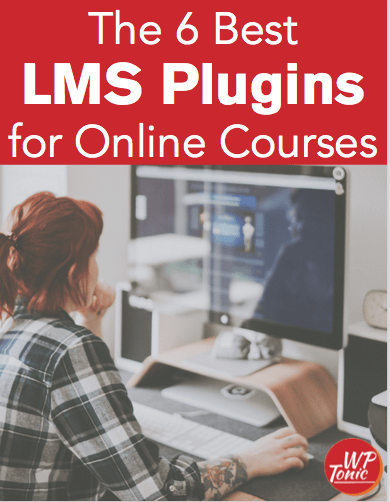 Picture this: You’d like to learn how to create a learning management system (LMS) on your WordPress site. You google “WordPress LMS tutorial.” The results: 20-minute YouTube videos, sprawling PDFs, and other overwhelming help resources. Do the resources include everything learners need? Likely. But it’s 2018: With the average attention span at eight seconds, learners won’t get value from all of the information delivered simultaneously; they need chunks of information – delivered consecutively – that guide them throughout the tutorial. Businesses can supplement long-form help resources with microlearning strategies to ensure learners comprehend the information and advance with confidence. Create short, content-rich videos that focus on one topic. Quiz learners at the end of each topic to prove that learners have comprehended the information. Use on-page guides, such as tooltips, to give a hint or description of a topic. The recurring theme: the content is topic-based – focusing on one topic as opposed to a chapter. 88% said video boosts student achievement levels. 76% said video increases retention rates. Video is – undoubtedly – the preferred (and most efficient) form of education among students and instructors. As we begin 2018, the rise of video – in eLearning and beyond – is not slowing down, as experts predict global IP video traffic will make up 82 percent of all consumer internet traffic by 2020. Break your content into several small videos (remember microlearning?). Include elements such as music and emotion to make the videos engaging and memorable. Avoid distracting effects as to not distract learners from your core message. Keep these tips in mind as you add video to your eLearning services and watch your learners’ achievement levels and retention rates skyrocket. Mobile, like video, has been a recurring eLearning trend since 2010. And recent studies show that 67% of people learn on mobile devices. But mobile in 2018 – especially in eLearning – has an important caveat: creating a mobile-friendly eLearning service means more than putting your existing courses on a screen – it’s about designing your course so it responds well to any device, including mobile. We recommend you design your courses with responsive authoring tools. Here’s how they work: responsive authoring tools allow you to create content from a single-source – as opposed to creating different content for different devices – that’s available on any device. That means you can spend more time crafting your eLearning services and less time duplicating content for different devices. As more learners demand content on mobile, responsive authoring tools are the best way to meet their demands. Artificial Intelligence (AI) allows machines, such as computers and mobile devices, to learn from experience and interact with humans naturally. AI can help businesses solve a common eLearning challenge: How can we deliver integrated, personalized experiences for our learners? One of the best solutions is chatbots: an AI-assisted computer program that responds to your learners questions, as opposed to static articles in a knowledge base. Here’s an example: You could have a chatbot, as opposed to yourself, instruct your learners. Chatbots would adapt to the speed at which each learner is comfortable, instead of teaching at one speed for all learners. Because learners absorb content at different paces, chatbots would be a great addition to your eLearning services in 2018. Augmented Reality (AR) is best defined by digital immersion in physical space. You’re aware of your physical surroundings – a street, a sidewalk, a tree – however, digital elements are added to enhance the physical experience. Remember Pokemon GO: the recent mobile game phenomenon where users captured pokemon that appeared in public spaces? That’s an example of AR. You can use AR to enhance the physical experience of your learners as well. Here’s an example: Say your eLearning course includes an assessment where students must identify the types of teeth in the mouth. You could use AR to display a 3D mouth cavity, which students could flip, turn, and rotate to identify the teeth. Could you enhance your eLearning services with AR? If so, we recommend you implement it in 2018. Virtual reality (VR) immerses users into a different physical reality, unlike augmented reality, which preserves your physical space. As we begin 2018, experts believe VR will be most beneficial for employee training. Consider this scenario: You’ve hired a new employee and would like to begin her training, which requires her to see the office. However, she currently resides on the other side of the world. This is where VR can shine. With a VR headset, the potential employee can immerse herself in the office, even walk through the hallways and explore the company kitchen. The opportunities for VR in eLearning are endless, and should its benefits align with your goals, we recommend you add it to your eLearning services. The “API” in “xAPI” stands for application program interface: a common term in software development used to describe a series of requests and responses between servers for information. The eLearning industry has introduced the “x” to help eLearning professionals understand that they’re receiving a specific type of information: learning experiences. The xAPI allows you to collect data about the wide range of experiences a person has – both online and offline. A great way to use xAPI for your eLearning services is to aggregate all of your content, such as Powerpoint slides, and make them searchable for your learners. Your learners could select and arrange the content however they’d like to create reference materials that best suit their learning style. xAPI does have a steep learning curve; however, if you have a developer, we recommend you pursue xAPI. When you curate an eLearning course, that means you gather existing information – blog posts, podcasts, etc. – and add the information to a collection, which you re purpose for your course. It’s not original content; however, it’s a great opportunity to pull from the large pool of existing content on your topic, then supplement it with your own insights to target your learners. Ensure that you understand the types of content your learners need. You’ll miss the mark if the curated content does not align with your learners’ goals. Curate your content from reliable sources. Be leery of social media and forums. Instead, shift your focus to news sites, press releases, and content created by subject matter experts. Curating content for your eLearning services can save you a lot of time, plus expose learners to several perspectives on your topic. With the right curation strategy, you can ensure learners get a well-rounded learning experience. In user-generated learning, all of your learners have something to contribute to your eLearning services. It’s no longer about a gatekeeper creating all of the content; the learners, through their participation, create content for the course, and thus, their peers. If you’ve taken an online college course, you’ve likely participated in user-generated learning. Many professors require students to read articles and submit their thoughts on an online forum, where they’re encouraged to interact with their peers’ responses: comment, ask questions, etc. No matter how you choose to implement user-generated learning – videos, forums, etc. – your strategy must have one essential element: a central hub where all of your learners can generate their content and engage with one another. Popular options include wikis, an Intranet page, or a WordPress site. With a central hub of user-generated content, learners can easily access their peers content. We all know content needs context: If a learner does not understand how a lesson fits in the big picture, it becomes an isolated piece of content that has little value to the learner. This definition of context marketing applies to eLearning as well. Think about a few of the previous trends we’ve discussed: In microlearning, we present information consecutively in small chunks to help learners comprehend a lesson; in artificial intelligence, we proposed chatbots as a way for learners to learn and absorb content at a pace that best suits them. We see context in both examples. Not as an eLearning strategy; more so, as a trending philosophy that you can adopt to ensure your learners learn, as HubSpot phrases it, the right content at the right time. 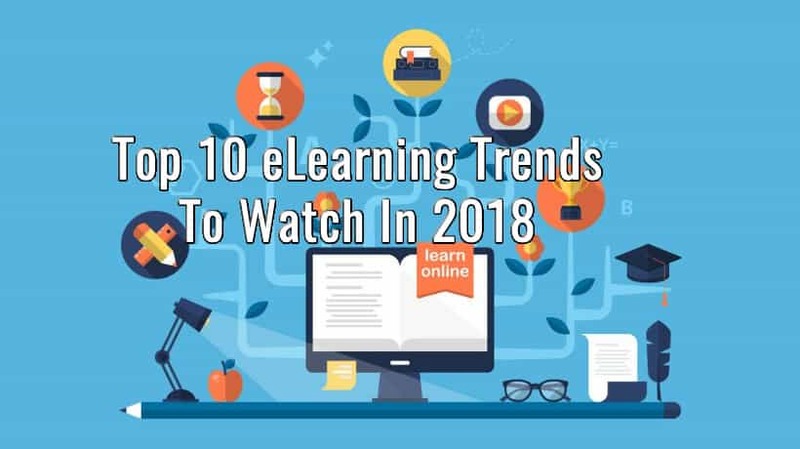 All of the trends that we’ve shared with you will have an impact on eLearning in 2018. However, that does not mean every trend is right for your business. Instead of applying each trend simultaneously, take the time to review your eLearning services and goals, then decide which trends best align. Are your learners getting lost in your 50-slide Powerpoints? Consider adopting the microlearning trend and break your content into small, digestible chunks. Do you want to pull from the expertises of eLearning thought leaders? Consider adopting curation to repurpose their content for your eLearning services. As long as the trends align with your eLearning goals, you’ll be ready to succeed in 2018.